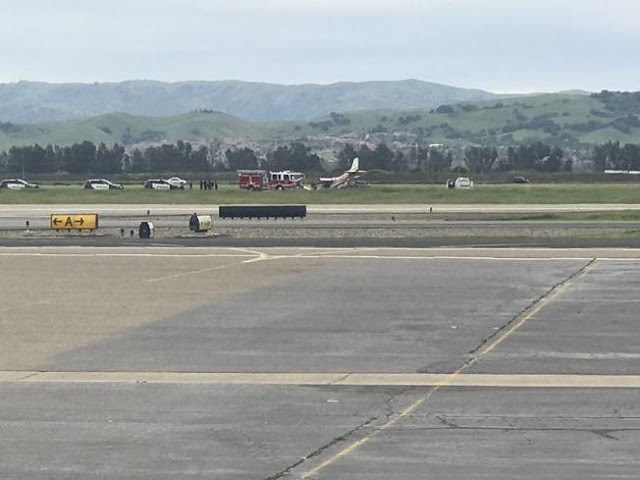 The flight instructor reported that, while the student pilot was landing, a wind gust pushed the airplane to the left side of the runway about 10 ft off the ground. The flight instructor took the flight controls and added full power to go around. Subsequently, the airplane bounced, the left main landing gear "caught onto something" on the ground, and the airplane spun around. The left wing struck the ground and the nose landing gear collapsed. 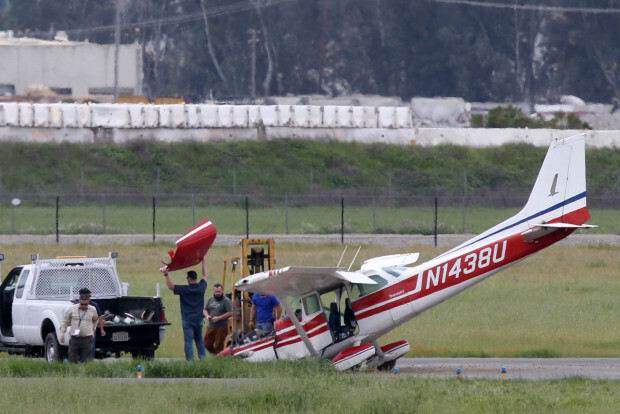 The airplane sustained substantial damage to the fuselage and right wing. The automated weather observation station located on the airport reported that, about 7 minutes before the accident, the wind was from 290° at 6 knots. The airplane was landing on runway 25L. The student pilot's failure to maintain runway centerline and flight instructor's delayed remedial action during landing. 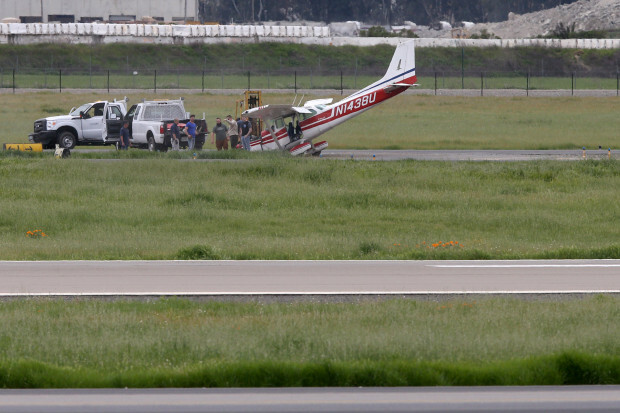 LIVERMORE — No injuries were reported after a single-engine plane crash landed at the Livermore Municipal Airport Thursday afternoon, authorities said. The crash was reported about 12:10 p.m. Thursday. 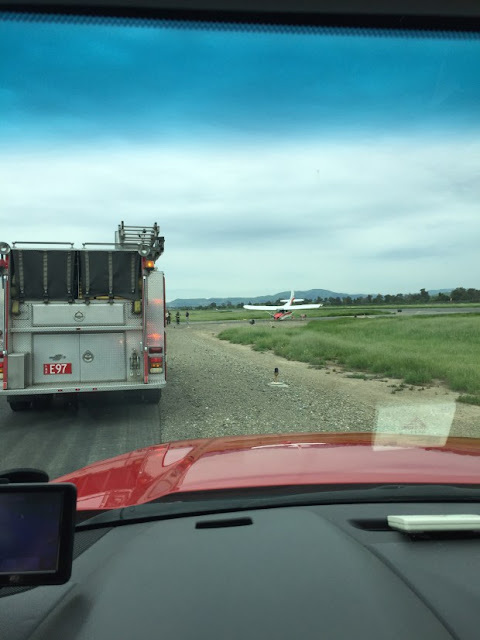 Livermore-Pleasant Fire Department Battalion Chief Aaron Lacey said the single-engine Cessna bounced while attempting to land on a runway and ended up on its nose partially off the runway. 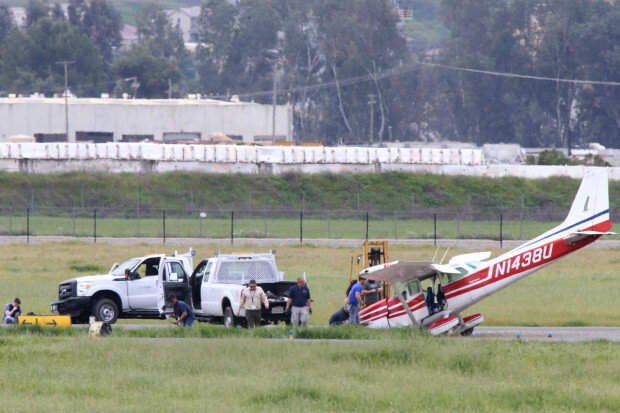 The pilot and passenger were not injured and there was no fire, he said. 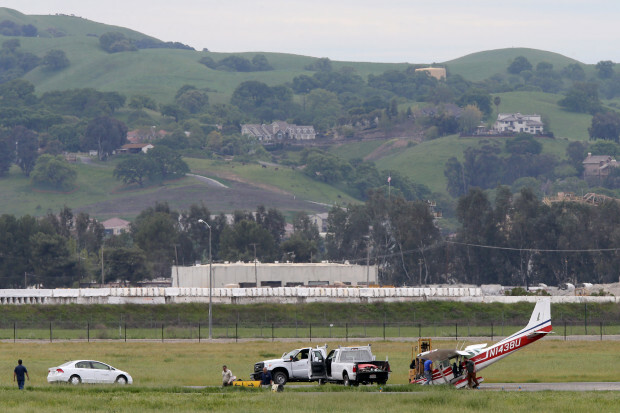 The crash shutdown the runway and taxiway, officials said. Hope that bird will fly again someday. I love the Cessna 172's from the 1970's, pretty planes!